In 1909 the San Diego Panama-California Exposition was proposed. 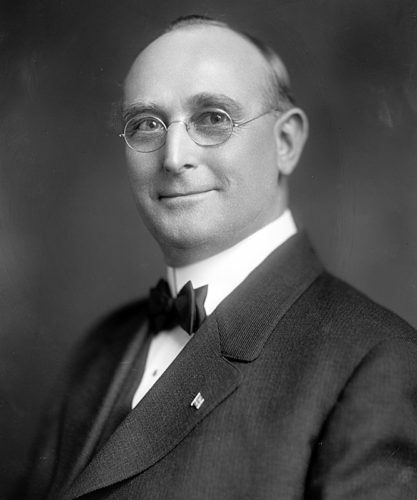 Work began in 1910, but it took the legislation of Congressman William Kettner (1864-1930) to obtain recognition of the federal government for the project. San Francisco announced it would sponsor an exposition, to be called the Panama-Pacific Exposition, at the same time. San Francisco reported it would be economic suicide for San Diego to pursue its idea and recommended the southern city drop its plans. The federal government, in addition, seemed to favor San Francisco by formally inviting Latin American countries to participate in its exposition. With Kettner’s intervention, the situation was resolved. Both cities held their expositions and, at the close of San Francisco’s event, Kettner introduced a bill, passed in Congress, to transfer $76,000 of unexpended funds, as well as most of the government’s exhibits, to San Diego.